Buying a house often comes with a few surprises. Usually people mean negative things when they talk about surprises after buying a house. We had a surprise with our new house, but this surprise was pleasant. 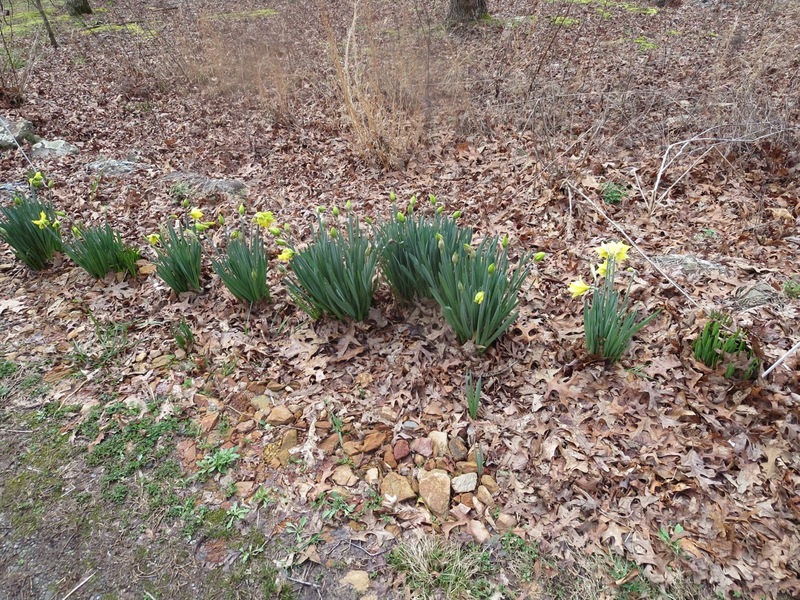 We have lots of daffodils coming up in various places in the yard and along our driveway. We like those kinds of surprises. Lauren gets home this weekend for spring break, and Jenna will be home the following weekend for hers. It will be good to have everyone home again. This entry was posted in College, Family, House. Bookmark the permalink.